For other people named Graham Watson, see Graham Watson (disambiguation). Sir Graham Robert Watson (born 23 March 1956) is a British Liberal Democrat politician. He served as a Member of the European Parliament for South West England from 1994 until 2014 and was the leader of the Group of the European Liberal Democrat and Reform Party 2002–2004 and the first leader of the Group of the Alliance of Liberals and Democrats for Europe 2004–2009. From 2011 until 2015 he was the President of the ALDE Party. He currently sits as a UK Member on the European Economic and Social Committee. Graham Watson was born in Rothesay on the Isle of Bute (Scotland, United Kingdom), the eldest of six children. His father was an officer in the Royal Navy and his mother a teacher. Watson was educated at the City of Bath Boys' School. He returned to Scotland to attend Heriot-Watt University in Edinburgh where he graduated in 1979 with a Bachelor of Arts in modern languages. He worked first as a freelance interpreter and translator and then (1980–83) as an administrator at Paisley College of Technology. He now speaks four European languages. Watson began his political activity in the National League of Young Liberals in 1972. As international officer of the Scottish Young Liberals he became involved in the International Federation of Liberal Youth, becoming a vice-president (1977) then General Secretary (1979) of the organisation. He was a founder of the European Communities' Youth Forum. He served as a council member of the European Liberal Democrat and Reform Party between 1983 and 1993. Between 1983 and 1987 he also served as head of the private office of then leader of the British Liberal Party, Sir David Steel. In 1988 he began work for the bank HSBC in London and Hong Kong. His time there encompassed three months with the European Bank for Reconstruction and Development and gave him an interest in the Far East. He has travelled widely in the region and speaks some Mandarin Chinese. In the 1994 European Parliamentary election he was elected for Somerset and North Devon with a majority of over 22,500. Watson, was the first Liberal Democrat returned from a British constituency to serve in the European Parliament. Watson and Robin Teverson, elected later the same night, sat with the Group of the European Liberal Democrat and Reform Party (ELDR). During this term, Watson served on two committees; the Committee on Economic and Monetary Affairs and Industrial Policy and the Committee on Budgets, and acted as whip for the ELDR group until 1996. In 1999 the introduction of the list system - a form of proportional representation - in Great Britain for European elections meant Watson's constituency was abolished in favour of a larger multi-member constituency encompassing South West England. The South West constituency would later also include Gibraltar in 2004. Watson was re-elected in this constituency as the sole Liberal Democrat member at the 1999 European Parliamentary election. His party had gained 171,398 votes, 15.7% of the total. During this term he led the British Liberal Democrats in the parliament and between 1999 and 2002 he held the chair of the Committee on Citizens' Freedoms and Rights, Justice and Home Affairs. In that position he steered through Parliament freedom of information provisions and the legislation providing for a European Arrest Warrant. In 2002 he was elected to lead the ELDR Group, succeeding Irishman Pat Cox MEP. 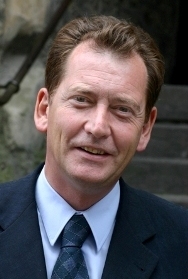 Watson was re-elected once more at the 2004 European Parliamentary election with his party winning 265,619 votes (18.3%). Following the election, Watson was re-elected to lead the ELDR Group and took it into an alliance with the newly formed European Democratic Party to form the Alliance of Liberals and Democrats for Europe. The ALDE group replaced the ELDR group (though ELDR and EDP existed for a while as separate parties outside the Parliament). Watson was elected leader of the new ALDE group, which was the largest group ever established in the Parliament outside of the European People's Party and Party of European Socialists. Watson was elected to a fourth term as an MEP for the South West in the European Parliament elections of June 2009, with the Liberal Democrats winning 266,253 votes (17.07%). Following the election, Watson stood down from the leadership of the ALDE Group, having served in that role for longer than any of his predecessors. He sat on the European Parliament's foreign affairs committee and served as Chairman of Parliament's Delegation for relations with India. He also chaired a global network of legislators campaigning for a switch from fossil fuels to renewable energy known as The Climate Parliament. Sir Graham Watson lost his seat at the European Parliament in the elections of May 2014, despite having polled 10.7% of the vote, the largest vote share of any UK Liberal Democrat in the 2014 EP election. In 2015 Watson was appointed by the UK Government to sit on the European Economic and Social Committee, an advisory chamber with a role similar to that of the UK’s House of Lords but with only a five year mandate. He sits on the Transport and Energy section and on the Foreign Affairs section and from 2015-17 was chairman of the EESC’s China Contact Group. Watson lived in Langport, Somerset, with his wife and two children from 1994 to 2017. They now live in Edinburgh and in Brussels. His wife, Rita, is from Italy and their children, one daughter called Frederica and one son called Gregory, were born in 1992 and 1995 respectively. Watson enjoys sailing, choir singing and music. He indulges in the restoration of Art Nouveau houses and classic wooden yachts. Watson is a supporter of the Campaign for the Establishment of a United Nations Parliamentary Assembly, an organisation which advocates democratic reform of the United Nations. Watson was knighted in the 2011 Birthday Honours for political and public service. He is also the recipient of honours from the Republic of China, Georgia and Gibraltar. Watson, Graham (2010). Building a Liberal Europe: The ALDE Project. John Harper Publishing. ISBN 978-0-9564508-1-4. Watson, Graham; Christine Gilmore (2006). The Power of Speech. Bagehot Publishing. ISBN 978-0-9545745-4-3. Watson, Graham; Simon Titley (2006). Liberalism - Something to Shout About. Bagehot Publishing. Watson, Graham; Katharine Durrant (2005). Liberal Democracy & Globalisation. Bagehot Publishing. ISBN 978-0-9545745-2-9. Watson, Graham; Sarah Kent (2004). EU've Got Mail! : Liberal Letters from the European Parliament. Bagehot Publishing. ISBN 978-0-9545745-1-2. Watson, Graham; Sarah Kent (1989–2003). Liberal Language: Speeches and Essays. Bagehot Publishing. ISBN 978-0-9545745-0-5. Watson, Graham; Howard Mollet (2001). 2020 Vision. Watson, Graham; Joanna Hazelwood (2000). To the Power of Ten: UK Liberal Democrats in the European Parliament. Centre for Reform. ISBN 978-1-902622-17-0. Watson, Graham (1980). The Liberals in the North-South dialogue. ^ a b c d e f g h i j k l "Biography: Graham Watson MEP". Graham Watson MEP website. Archived from the original on 9 October 2007. Retrieved 7 October 2007. ^ a b c d "MEP Profile: Graham Watson". European Parliament. Retrieved 7 October 2007. ^ "European Election Results For South West England". Graham Watson MEP website. Archived from the original on 12 October 2007. Retrieved 7 October 2007. ^ "European Election Results For South West England". Graham Watson MEP website. Archived from the original on 9 October 2007. Retrieved 7 October 2007. ^ "Labour loses hold in South West". BBC News. 8 June 2009. Retrieved 9 June 2009. ^ "Results of 2009 European elections in the UK". UK Office of the European Parliament. 8 June 2009. Archived from the original on 7 June 2009. Retrieved 9 June 2009. ^ "Graham's blog entry 31 August 2007". Graham Watson MEP website. 31 August 2007. Archived from the original on 5 October 2007. Retrieved 7 October 2007. ^ "Photo Gallery". Graham Watson MEP website. 31 August 2007. Archived from the original on 9 October 2007. Retrieved 7 October 2007. ^ "Statements". Campaign for a UN Parliamentary Assembly. Retrieved 28 September 2017. Wikimedia Commons has media related to Graham Watson.